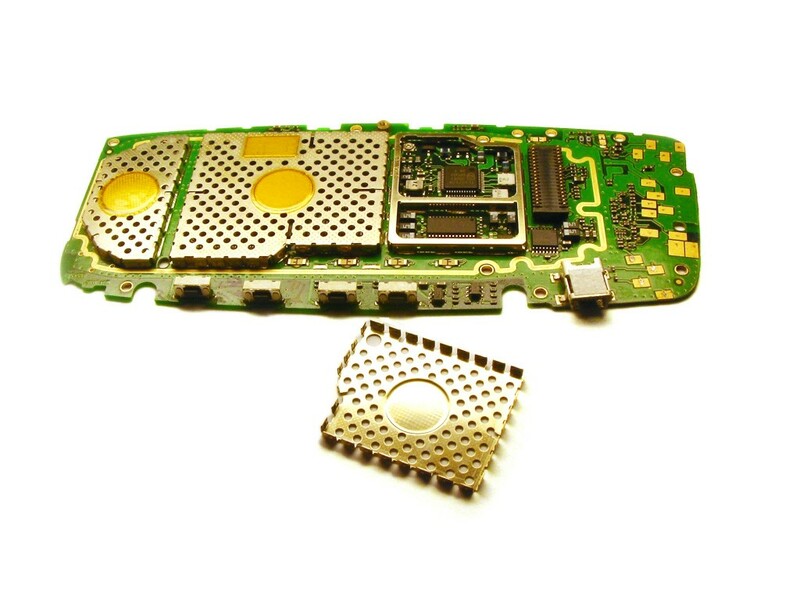 We discuss all things to do with plastic enclsoures and thier applications in the electronics industry. Although, choosing the best material for your electronic device’s enclosure requires understand the exact requirements of the particular project, for most of the items you can save a lot of money by using plastic. Furthermore, used in the right conditions, plastic enclosures tend to last longer than these created from other materials. The main difference between the plastic and other materials used to create electronics’ enclosures is that it doesn’t conduct electricity. This feature is especially important if there are concerns about electrical shortage or the device will be used near water. Another feature where plastic comes superior is its weight. If you plan to outsource the assembly of electronic devices or for your particular project – enclosure’s weight plays vital role, definitely plastic is the best material for your needs. Costs play important role for every electrical device project and plastic is reasonably cheaper than aluminum, steel and other metals used to create electronics’ devices enclosures. Finally, metal enclosures require finishing, while plastic doesn’t. This alone eliminates one step from the production process without risking the durability of the plastic enclosure. There are 2 main types of plastic used during the creation of plastic electronics enclosures – polycarbonate and phenolic. While both provide extensive durability, they are manufactured using different processes and understanding these could help you make the best choice for your project. Polycarbonate is synthesized from wide range of different materials. Polycarbonate is one very strong, flexible across all temperatures and for that reason it has high impact rating. Phenolic plastic is synthesized from coal. It’s turned into usable plastic, by heating the coal until it melts and pouring the resin into a mold. The phenolic plastic is very hard and extremely durable, with very high tolerance to arcing. The best way to choose safe plastic for your project is to make sure it comes with safety certification – the UL certificate is the most popular in the industry. To meet the certification requirements electronic plastic enclosures need to be create from material approved by the UL and also there are certain thickness requirements to conform with. To choose the best materials for your electronics’ enclosures you need to assess your project requirements right. This is the best way to ensure that your device will work properly under the given conditions. Although, plastic offers lots of options and flexibility, in some cases you just can’t use plastic enclosure for your electronic device. Choose the enclosure material carefully if you don’t want to reduce its durability. Plastic injection molding is the most commonly used process for converting raw material plastics to actual plastic parts today. It is a quick and very reliable method that has many advantages over other similar practices. The most common material used for this type of plastic molding is thermoplastic which can be easily melted, shaped and cooled. 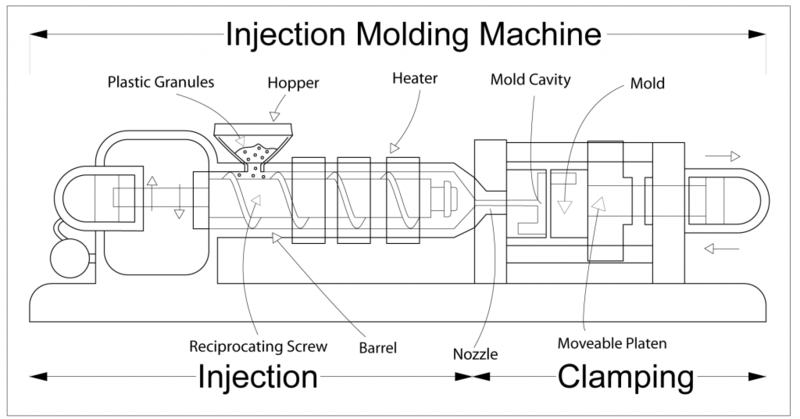 Plastic injection molding allows for a quick fully automated production of simple or complex high quality components which can be anything from bottle caps to food packaging and even various automotive products. Nowadays, plastic injection molding is mostly automated and even though technology has evolved a lot during the years, the process itself has remained relatively simple. This type of plastic molding requires polymeric material in granule or powder form to be inserted in the machine where it is melted and injected into a mold. The mold itself is usually made of steel, hardened-steel, aluminum or another metal and is held shut under pressure while the molten plastic is being injected. The plastic solidifies very quickly once it enters the mold and is then ejected after a certain period of cooling time which in most cases is very short. Different factories use different machines for their plastic molding operations. The type of the machine heavily depends on the type of the parts that are going to be produced. One of the most important qualities for a machine is tonnage. The tonnage of machines usually varies between 5 or less tons to 6,000 tons. However, machines with such a large tonnage are not frequently used. This happens when the thermoplastic cools in the mold. This usually happens with the use of highly crystalline plastics. Plastic usually shrinks more with the increase of the mold temperature because of its increased molecular energy. This may be compensated by higher packing pressure. These defects usually look like silver streaks on the surface of the mold. It usually happens when there is moisture in the material. In this case moisture is heated and enters the mold cavity. Moisture then volatilizes off and causes the so-called splash effect because of the sudden decompression when the material actually enters the cavity. This defect usually occurs when using thermoplastics which attract moisture better than other materials. Such thermoplastics include polyacetal and nylon. Plastic molding has been taken to a whole new level with the invention of injection molding. The process allows for hundreds of thousands of parts to be produced with a single mold which also makes it extremely cost effective. Other benefits of plastic injection molding include the wide range of available materials and high level of precision. External hard drives make it incredibly easy for users to transfer large amounts of data from their computer to other sources. It’s incredibly easy to transform internal hard drive into external by installing the right enclosure on it. The external hard drive makes it easy for users to back up their data and prevent data loses. By installing a good enclosure on your internal hard drives you improve their durability and you can install them on any device you have. What are some of the features of external hard drive enclosures? External hard drive enclosures are created using 3 main materials – metal, aluminum and plastic. Sometimes, manufacturers use a combination of all three materials to make the enclosure even more durable and efficient. Most of the external hard drives can be connected to your computer system using standard USB 2.0 and 1.1 ports. The choice for the most suitable type of connection needed for your external hard drive depends on the free ports you have in your system. USB 2.0 offers a lot higher file transfer speed than USB 1.1 and if you have such port on your system its best to take advantage of this connection type. Most of the internal hard drives used in Desktop computers come with two main types of interfaces – SATA and IDE. The hard drives using the SATA interface are largely popular and offer better performance than those using IDE. There are special enclosures for SATA hard drives, which will enable you to take advantage not only of USB 2.0, but also Firewire connection type. Depending on the machine they are used for, hard drives come in two main sizes – 3.5 and 2.5 inch. The first ones are widely used for desktop configurations, while the second one for netbooks and laptops. Typically, the 3.5 inch hard drives are more reliable and offer faster transfer speeds, but the size really depends on the machine you are looking to upgrade with an external hard drive. Hard drive enclosures are available with single and dual bays. Depending on the amount of external hard drives you want to use, you can choose between the two types of enclosures. You can always buy new single bay hard drive enclosure if you need some extra storage space in the future. How to use an external hard drive enclosure? The most important thing to consider when choosing external hard drive enclosure is the connection type supported by your computer. USB interfaces are incredibly popular and they are the most preferred choice for users. Place the internal hard drives in the enclosure and connect all necessary cables. Once you have the hard drive connected to the enclosure you simply need to plug it in your computer. You are done! External hard drive enclosures make it incredibly easy and fast to transform internal hard drives into external ones without almost no technical knowledge. What Makes a Good Plastic Enclosure? What is a Belt Clip? AlarmDecoder uses SIMCO‘s 075X12 Plastic Utility Box.